Click here for information on our upcoming Confined Space Rescue Technician training class . Industrial fire response, training, and certification. For all of your Rescue & Safety Training Confined Space Rescue High Angle Rescue Fire Suppression needs. Standby Confined Space Rescue, High-Angle Rescue, Trench Rescue, Water Search & Rescue, & Gas Monitoring. Industrial fire response, professional NFPA 1081 Industrial Fire Brigade training, and certification classes for California. Industrial Rescue Training, Safety Training, and American Heart Association certified CPR/AED classes. Action Response Team provides professional Confined Space Rescue, Fire Suppression and Safety services for industrial applications. We also operate a Rescue Training Facility and offer certified CPR training classes. Your Trusted Confined Space Rescue, Fire Suppression, and Training service provider. Contact us now to let us know how we can help you. Just some of our trusted excited satisfied clients. Action Response Team is waiting and ready to serve you! Contact us now to let us know how we can help you. 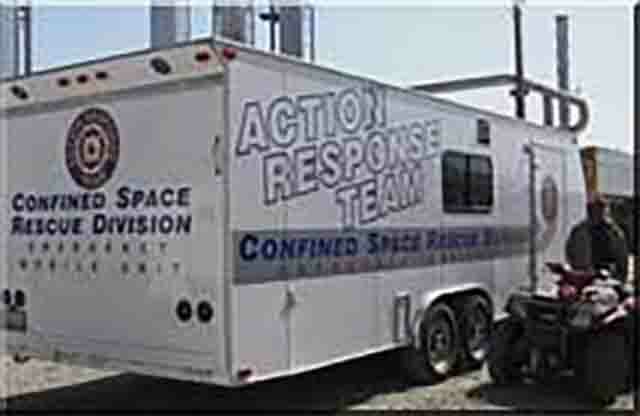 Action Response Team provides professional Confined Space Rescue, Fire Suppression and Safety services for industrial applications. We also operate a Rescue Training Facility and offer certified CPR training classes.